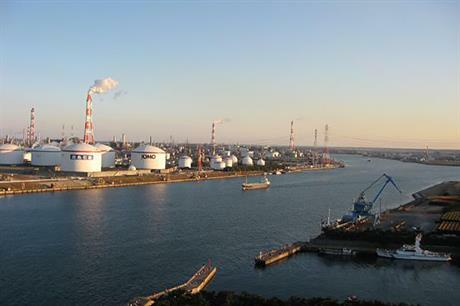 JAPAN: The Ibaraki Prefectural Government has announced that a consortium formed by the Windpower Energy Group and Hitachi Windpower have been selected to take over the Kashima Port South offshore wind project. The project will comprise 18 Hitachi 5.2MW turbines for a total output of 93.6MW, over an area of approximately 3.4km2 at a cost of approximately JPY49 billion (US$432 million). Permission has been granted for 20 years. The result followed the reopening of bidding for the project after Marubeni Corporation withdrew in January, citing wind power estimates that fell short of required investment targets. It marks the second case of bidding based on the revised Port and Harbor Law that opens up previously restricted port areas to wind-power development.